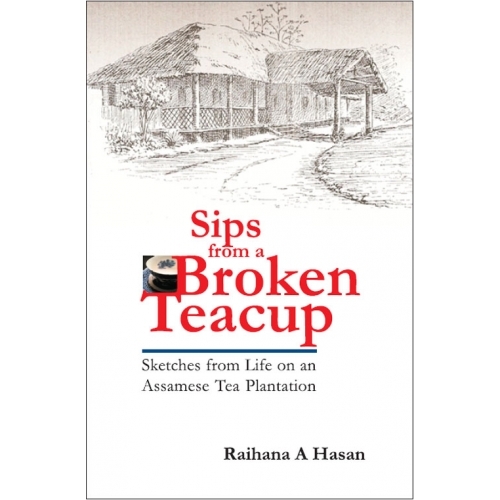 Four decades after they fled Bangladesh, from a remote tea plantation in Sylhet across the border to India, Raihana Hasan has written a riveting account of her ten years on tea plantations in what was once East Pakistan. In doing so, she has captured beautifully the colonial lifestyle of plantation managers and also given a personal account of living through the harrowing days that eventually led to the creation of Bangladesh. Raihana went to the isolation of a tea plantation in East Pakistan as a young bride from Karachi – a city bustling and abuzz with people and action. Her husband was then the Assistant Manager of a British-run tea estate. Acclimatisation to a new and an alien lifestyle was not easy. Her husband’s support and his sense of humour helped her along in her new role and she gradually settled down to an elite and a privileged life of charming colonial bungalows, chhota hazris, cooks, servants, plantation clubs, and parties – and also raised two little boys. And then things began to change – the dark clouds of Bengali resentment against the Pakistani regime drifted towards the tea estates. Fear enveloped the bliss and quiet of this remote area, as failed talks between leaders gave rise to violence, and terror crept into the valleys of Sylhet as well. Threats from the Bengali militia became an everyday occurrence. Betrayals from close quarters, endangered their safety - more importantly that of the children. Pakistani army was unable to evacuate them. Then one day, when danger loomed very close, Raihana and her husband, together with their two youngsters, packed a few belongings, entrusted their lives in the hands of a smuggler, and escaped to India. That was the first leg of their tormented flight to freedom. It was a long journey before they reached Karachi. A very well written book, Raihana Hasan has captured the spirit of the times. It is a book about human values, about relationships – and a lifestyle that is now in the past. Copyright © 2000 - 2012 [the-south-asian.com]. Intellectual Property. All rights reserved.